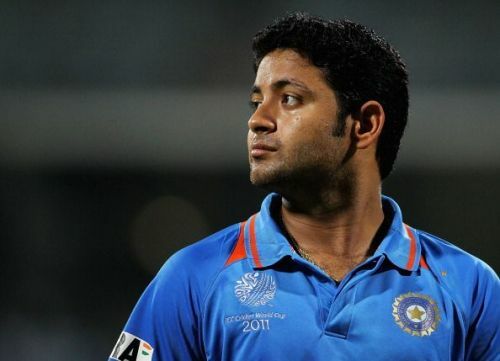 Discarded Indian leg-spinner Piyush Chawla has decided to switch teams and will now be playing for defending champions Gujarat in the upcoming Ranji Trophy season. Having played for Uttar Pradesh ever since his first-class debut 12 years ago, Chawla decided to make the switch to the Parthiv Patel led side. Speaking to the Indian Express, Chawla revealed the reason for the change. Piyush Chawla burst onto the domestic scene in 2005 and has been instrumental in Uttar Pradesh's success over the years. He has featured in 117 matches for the state and has picked up 386 wickets at an average of 33.89 with 5 five wicket hauls to his name. Gujarat, on the other hand had an incredible 2016-17 domestic season winning the Ranji Trophy for the first time ever. Chawla has had a decent career with the Indian side as well. He first made his Test debut in 2006 but ended up playing only three Tests in total picking up seven wickets. He made his ODI and T20I debut in the subsequent years and was reasonably successful there as well. He was even included in India's T20 World Cup squad and 2011 World Cup squad which saw India lift the cup. However, inconsistent performers led to him being dropped from the side on a number of occasions. The Ranji Trophy season will begin on October 6th, 2017. Chawla will bring a lot to the table for the Gujarat side as they look to defend their title. With Axar Patel already in the side, Gujarat's spin bowling arsenal will be one of the strongest for the upcoming season. Chawla could use the Ranji Trophy season to pick up a lot of wickets and get the notice of the Indian selectors as he hopes to make another comeback to the side.